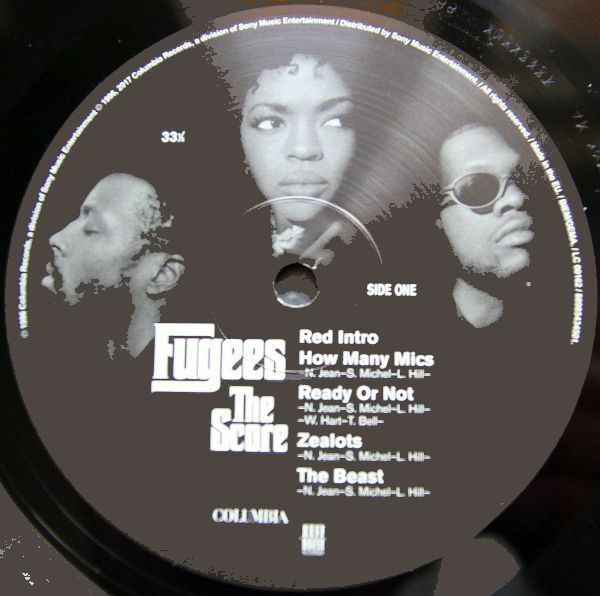 2017 EU reissue on 180g 2LP =In addition to their runaway hip hop-stylized covers of Roberta Flack's "Killing Me Softly" and Bob Marley's "No Woman, No Cry," One of the most groundbreaking & influential Hip Hop albums of the nineties. 2017 EU reissue on 180g audiophilevinyl 2LP= One of the most groundbreaking & influential Hip Hop albums of the nineties. Smartly blending Hip Hop with Jazz & Reggae & throwing in some classic R'n'B on the way, The Score is an album that couldn't not seduce the masses, but it doesn't pander to them. It is political without being pretentious, commercially appealing minus the sell out. 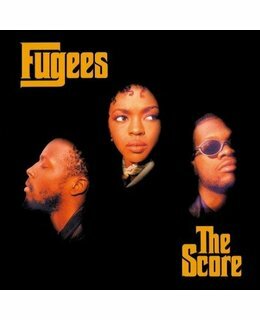 On The Score the Fugees stay true to themselves and deliver one of the most groundbreaking & influential Hip Hop albums of the nineties in the process. 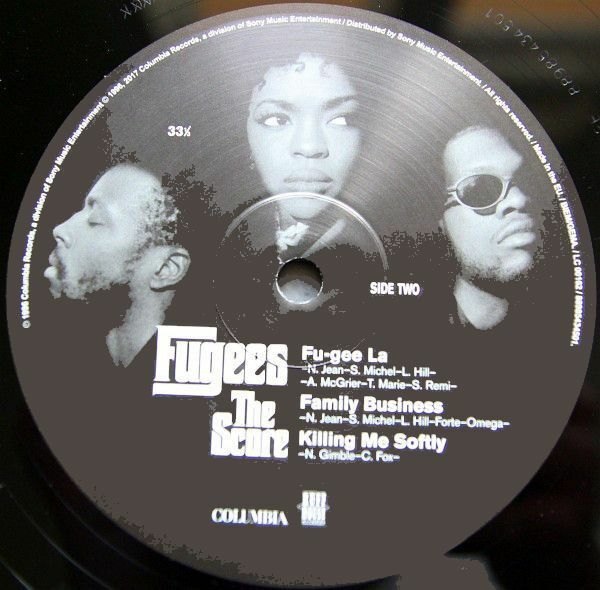 The Fugees' breakout second and final album, The Score, propelled the hip-hop trio to worldwide superstar status and garnered a 1997 Grammy Award for Best Rap Album, Best R&B Performance for "Killing Me Softly" and a nomination for Album Of The Year. In addition to their runaway hip hop-stylized covers of Roberta Flack's "Killing Me Softly" and Bob Marley's "No Woman, No Cry," the release is also home to the popular singles "Fu-Gee-La" with its Teena Marie “Ooh La La” chorus and the Delfonics-sampled "Ready or Not." Wyclef, Pras and Lauryn Hill transcend hip hop cliches here by making musical variety, gender diverse points of view and a socially conscious message accessible, ultimately resulting in one of the most distinctive and best selling hip-hop albums of all-time. Hill herself described The Score as, "An audio film. It's like how radio was back in the 1940s. It tells a story, and there are cuts and breaks in the music. It's almost like a hip-hop version of 'Tommy', like what The Who did for rock music." In 1996 The Score was omnipresent: you could hear it in the clubs, on the street, blasting from cars & high windows. It was played on the radio & at home. 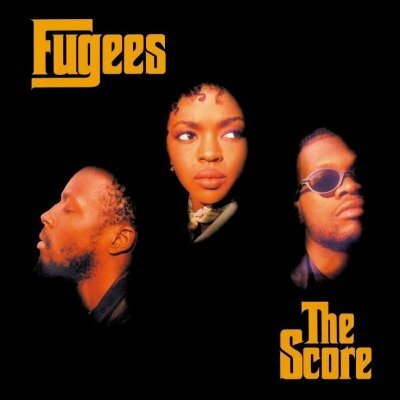 The album's appeal seemed endless; young people bounced to it, older generations could lovingly croon along to "Killing Me Softly With His Song", critics were running out of adjectives to praise the lyrical prowess and productional skills of Lauryn Hill, Prakazrel 'Pras' Michel and Wyclef Jean. 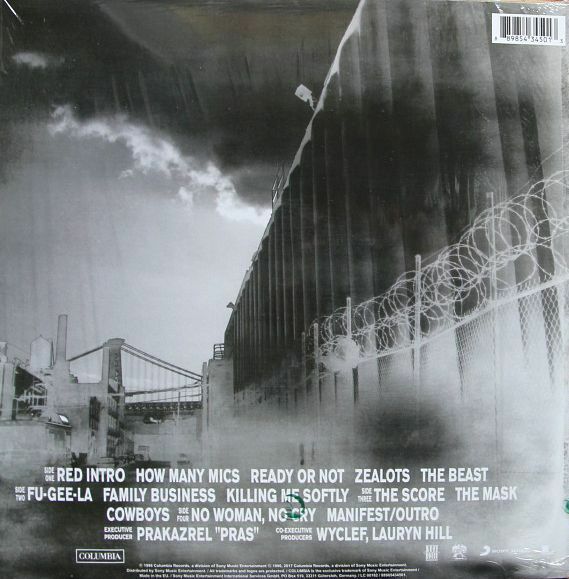 Internal tension and individual success made this the last album they produced. Lauryn Hill became an icon in her own right with her solo album The Miseducation of Lauryn Hill (also available on Music On Vinyl, [MOVLP060], Pras successfully released singles "Ghetto Supastar" and "Electric Avenue" and started pursuing a career in Hollywood while Wyclef went on to become Hip Hop's political conscience (with a possible run for Haitian president as well). 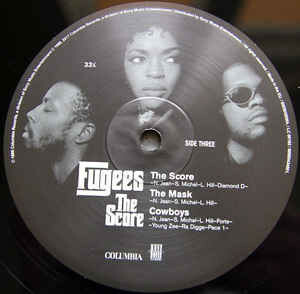 The Score has remained a classic and seminal album for every serious music lover.